Kolkata:Before stepping out on March 21 to rent the air with burst of colours, take a step back and think--are you causing more harm in that moment of frenzy and frolic, not just to your own skin but that of your companion as well. 'Blatant use of inexpensive over-the-counter artificial colours which are prepared with the help of chemical solvents and toxic agents like lead oxide, mercury sulphite and copper sulphate can cause minor to severe damage to your skin, eyes, lungs, liver and kidneys,' Dr Aritra Sarkar, Consultant Dermatologist, Medica Superspeciality Hospital today warned. While most of us like the idea of heading out to play Holi with colours, it comes with its own set of issues like dry and frizzy hair, pimples and breakouts, the physician said. 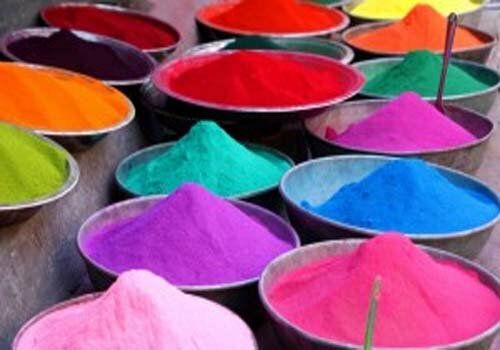 'There are toxic chemicals like lead, copper sulphate, aluminium bromide, zinc, asbestos and mercury (to name a few) that are used to manufacture coloured powders are extremely harmful. They can lead to temporary blindness, asthma, renal problems and in the case of mercury sulphite (used to make the red colour), even causes skin cancer. It may cause allergic contact dermatitis over skin and allergic reaction to eye due to presence of harmful chemicals. There may be red bumpy itchy skin rashes on and around exposed area,' he cautioned.They contain chemicals, shiny particles of mica and even lead, which not only irritates the skin, but collects on the scalp and gets deposited in the nails too,' Dr Sarkar further explained.So does it mean no one will enjoy with colours, they will, definitely, yet with some adequate safety measures for the skin. Few awareness and cautious approach will make us enjoy Holi hassle free. It is not just the adults. Even children are vulnerable while playing with colours. It is best to use home-made or natural colours for everybody but especially for children. Organic colours that are also eco-friendly are safer than any chemical artificial colours.